Hi , as you know I am private trader. 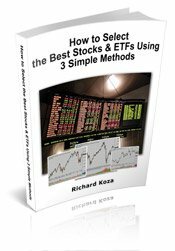 I also publish this personal web pages on simple-stock-trading.com address to provide valuable know how to everybody who is interested in stock trading and active investing. All information provided are based on my ten years experience with stock market trading. These information are provided with aim to help aspiring traders and investors to better understand online stock market trading and investing. There is a lot of free content on this site. 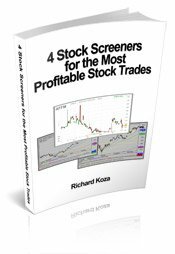 I also publish popular ebooks that contain very valuable info. While many of my clients and customers find this online trading website on their own, I highly value those referred to me by people like you! I will pay you a commission for every eligible product purchased through your affiliate link. There is no cost to join – all you need to do is apply. You can begin promoting products and services right away. You don’t even need a large email list to be successful. You can earn steady commissions by simply using free social media tools like Twitter, Facebook, and simple web pages and blogs. I supply the basic tools and support you’ll need to maximize your earnings. Anyone can become an Simple-stock-trading.com Affiliate, as long as they only use ethical marketing methods to promote my products and services. I will NOT tolerate anyone promoting my products via unsolicited email marketing (or “spam”). Additionally, you may not promote my products via sites or use marketing methods that contain offensive content, at our discretion. Once you’ve earned $100 or more, we pay you monthly via Paypal. Commissions are paid 60 days after the close of the month in which the referred customer purchased through your affiliate link. If you have questions, please use contact form and I ‘ll be happy to help you. So Are You Ready to join? 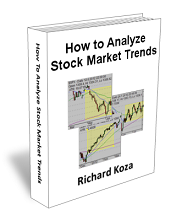 You’re likely telling everyone about Richard Koza website anyway. Why not be rewarded? Richard Koza and ATWEL International will not be held responsible if you refer your affiliate link to people with computer systems that do not allow the cookies necessary to give you affiliate credit, or if they already have another affiliate’s cookies on their system. Richard Koza and ATWEL International occasionally gets returns. If the product you receive a commission on is returned, we’ll deduct the paid commission from your affiliate payment. Affiliates need to be current on all payments to Richard Koza and ATWEL International on all products, programs and services in order to be eligible to receive affiliate commission. Here are some common resources for affiliates. You can find here images and banners for your web or blog site.